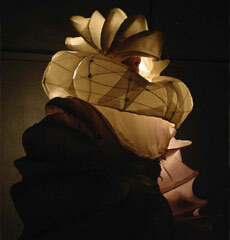 The Scenography Department has developed its program in view of a new trend in the universal theatre and motion picture arts, according to which the creation of a complex visual world – stage sets and costumes – in performing arts is to be interpreted within a unifi ed framework, often within the competence of the same artist. The program trains future designers whose contribution can be organically integrated into theatrical and motion picture work processes, while they also maintain their autonomy and unique artistic approach in their creative input. 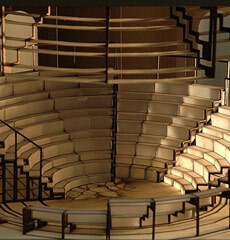 The Scenography Program is divided into two parts. The objective of the three-year BA Program is to lay the professional foundations of scenography and to impart the required skills and knowledge to students. Having completed this course of study, students can acquire a qualifi cation in Applied Scenography in two different specializations: 1) Stage and Costume Design and 2) Puppet and Costume Design. The courses of the program are led by prominent representatives of the Hungarian theatre and motion picture scene, offering students an opportunity to become acquainted with various artistic approaches. In addition, each semester, students participate in professional theatre and motion picture practice, where they can directly experience all phases of the implementation work and the production process. In the two-year MA program, students embark on an indepth exploration of the possible personal approaches to – and methodology of – art. 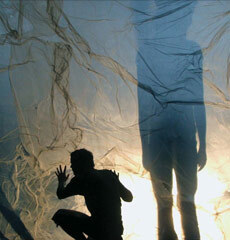 Upon completion of the program, they can acquire qualifi cation in Scenography Art with specialization in Theatre. The artistic program aims to provide a full-scope education in theatre, and to endow students with a complex artistic qualifi cation that can equally satisfy the demands of traditional and new terrains in art. Thanks to this integrated training scheme, our graduates enter the labour market equipped with the intellectual and technical skills of the digital age. The department is dedicated to supporting experimentation with theatrical styles and forms, to creating joint projects in collaboration with students from partner universities of art, as well as to maintaining close connections with prominent professionals in performing arts.